If the belt wanders, the unique pivot and tilt movement of this centring station ways guides it back into the correct position. The PT Pro EZ is suitable for light to medium-duty applications and for reversible belts with belt widths of up to 1,200 mm. Conveyor system operators can use the belt centring station even for belts with worn or damaged edges. The station is very quick and easy to install thanks to the uncomplicated design of the brackets and components. One special feature of the PT Pro EZ is that the belt guide pulley is polyurethane-coated as standard. This increases the pulley’s service life and gives it more grip in wet conditions. Competitors usually charge extra for this feature. Fig. 1: The PT Pro EZ’s special feature: the belt guide pulley is polyurethane-coated as standard. This increases the pulley’s service life and gives it a better grip in moist conditions. To avoid loss of material in the transfer area, Flexco also offers a variety of skirting systems. Fasteners combined with a rubber or polyurethane skirt effectively isolate the materials transported on the belt without damaging the belt covering – so operators can easily reduce the formation of dust while increasing the material throughput on the belt. 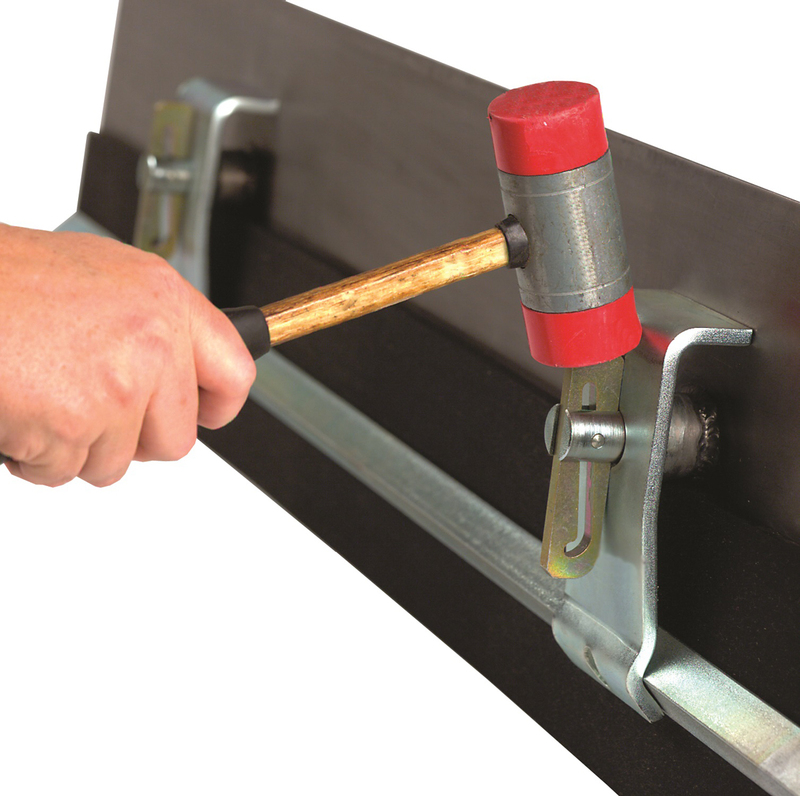 Flexco skirt clamps can be fitted very easily and are available for a wide range of load levels. Fig. 2: Installed very easily, Flexco skirting systems effectively isolate the materials transported on the belt without damaging the belt covering. A new addition to the Flexco range is the FLEXCO XP mechanical connector, designed for use in surface and underground mines. 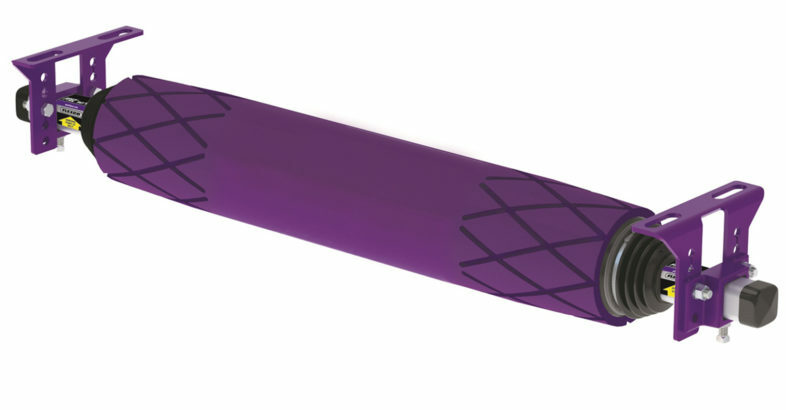 Suitable for conveyor belts made of woven PVG/PVC with strengths of up to 1750 N/mm, these connectors can be installed either manually or by means of a hydraulic press – without damaging the fibres. The flat design of the connectors improves the approach for cleaning systems and reduces contact with skirting sections and return belt pulleys, making the system less vulnerable to wear and tear. The connection also lasts much longer than comparable competitive systems, allowing mine operators to increase the productivity of their conveyor systems, since they have fewer breakdowns and less maintenance work. For fast and easy installation, Flexco provides a hydraulically-operated press, ensuring connections with a constantly high tensile strength and a uniform distribution of the load over the width of the belt. Fig. 3: The FLEXCO XP mechanical connector is suitable for conveyor belts made of woven PVG/PVC with strengths of up to 1750 N/mm. 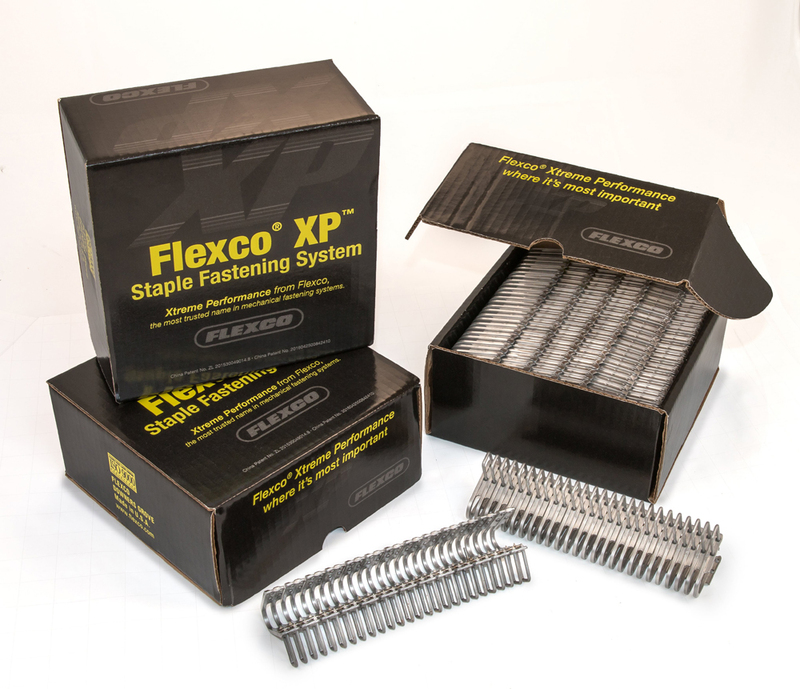 Flexible Steel Lacing Company (FLEXCO), headquartered in Downers Grove, Illinois in the USA, is the leading international specialist for mechanical conveyor belt fastener systems, belt cleaners, belt positioners, impact beds and pulley lagging for light- and heavy-duty applications. With the company’s innovative solutions, endusers can substantially reduce downtime and increase productivity. FLEXCO Europe GmbH is the German subsidiary of FLEXCO, and is headquartered in Rosenfeld, where the company currently has about 60 employees.